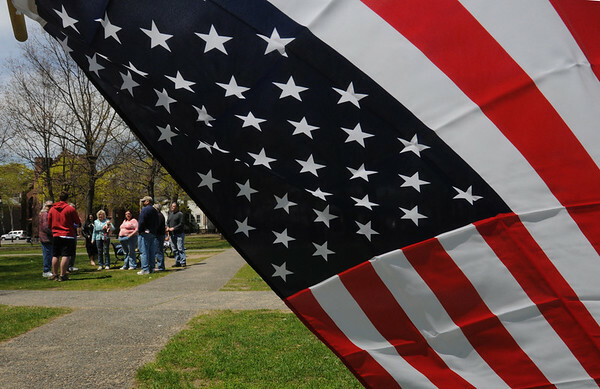 About a dozen people showed up at the Salem Common at noon on Monday because of Osama bin Laden reported death. The assembled people expressed their feelings on his death and had a moment of silence for our military personnelserving overseas. Photo by Ken Yuszkus/Salem News, Monday, May 2, 2011.